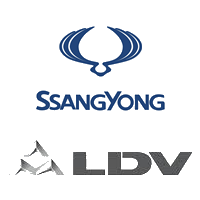 Aspiring Auto Court are your local Ssangyong & LDV dealership with three locations in Wanaka, Alexandra & Queenstown. The Johnston family are proud to have been operating in Central Otago and the Lakes District for over 20 years. We have a large range of quality new and used vehicles on offer at very competitive prices. We can provide affordable MTF finance or lease options along with Vero Mechanical Breakdown Insurance and can trade-in most vehicles. Whether you are after a Station Wagon, Sedan, Hatchback, SUV, Utility, Van, People Mover or a Light Commercial Vehicle, contact the team at Aspiring Auto Court to see how we can help solve your motoring needs.